Berkeley teacher Yvette Felarca and other supporters of By Any Means Necessary, or BAMN, attended a Jan. 22 hearing in Sacramento, affirming that they have to stand trial in an assault case connected to a neo-Nazi rally and protest in 2016. The five men were put on trial for misdemeanor charges after allegedly assaulting Donald Trump supporter Daniel Quillinan during the “March 4 Trump” rally in 2017. Picketers converged outside a Sacramento courthouse Friday morning in support of activist and Berkeley Unified School District teacher Yvette Felarca, who has filed to drop charges against her in connection with a violent rally that took place almost two years ago. 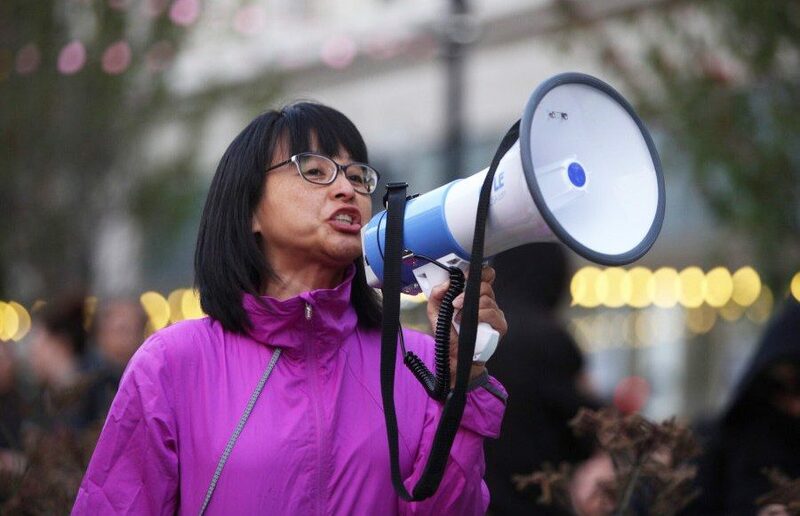 An Alameda County Superior Court Commissioner ordered Yvette Felarca, a Berkeley middle school teacher and activist, to pay former Berkeley College Republicans, or BCR, president Troy Worden $11,100 in legal fees on Thursday. The restraining order filed by By Any Means Necessary, or BAMN, activist Yvette Felarca against Berkeley College Republicans President Troy Worden was officially dismissed Thursday. The arraignment hearing of By Any Means Necessary, or BAMN, activist Yvette Felarca was postponed Wednesday to Nov. 8. Felarca is facing a felony charge of assault and two misdemeanor charges of rioting and inciting to riot. On Wednesday, Martin Luther King Jr. Middle School teacher Yvette Felarca returned to her classroom after six weeks of administrative leave. A Martin Luther King Jr. Middle School teacher filed a lawsuit against the Berkeley Unified School District on Wednesday alleging in part that the school district violated her first amendment rights by placing her on involuntary paid leave based on her involvement with a political group. On Friday, a U.S. District Court judge denied the Defend Affirmative Action Party its application for a temporary restraining order, or TRO, that aimed to halt the 2016 ASUC elections.